Frederick Ashton choreographed Romeo and Juliet for the Royal Danish Ballet in 1955, and it was on a smaller scale than the 1965 Kenneth MacMillan version familiar to Covent Garden audiences. Schaufuss’s mother and father danced Juliet and Mercutio in the original, so Peter Schaufuss is very much involved in this work, and he worked with Ashton on a new production for the English National Ballet in 1985 when he was artistic director. At that time they included ensemble pieces that enlarged the ballet, but in this production Schaufuss claims to have gone back to the original, including original costume designs by Peter Rice, which are wonderful. He has also pared it down to fairly minimal sets by Luciano Melini, showing a large foreground with steps at the rear to a slightly higher level. This has the effect that the front curtain can remain open during scene changes, which are aided by clever alterations in the lighting and changing backdrops. Despite the London Coliseum’s large stage this production has a small cast, enlarged for the Gala on Tuesday, by including Lynn Seymour and David Wall as the Montague parents and Wayne Sleep as Peter the Page — this is what most of the press will review. However, the main couple, Ivan Vasiliev and Natalia Osipova, dance all week, and they’re outstanding. She shows huge emotion in the second part as she rejects Paris, flying around the stage in agony before going to see Friar Laurence, very calmly played by Peter Schaufuss himself. Vasiliev is equally terrific, dancing with perfection. His characterisation of the role shows real feeling, and his sword fight with Tybalt was superbly done. In fact the sword fights, to Ashton’s original choreography, are wonderful. Choreographically this has some glorious moments, and Vasiliev was well supported by Alban Lendorf as Mercutio who danced with great vigour and panache, and Peter Schaufuss’s daughter Tara as Mercutio’s girlfriend. Stephen Jefferies gave an immensely strong and cool portrayal of Lord Capulet, with Zoe Ashe-Browne as his wife. If you’re looking for the balcony scene and those lovely bustling scenes in the square you’ll be disappointed, but this is a must-see for two reasons. One is that Ashton’s Romeo and Juliet is seldom performed in London, but the main reason is that Vasiliev and Osipova are incredible. How they will manage to dance every performance I don’t know, and their first night on Monday was spoiled by technical faults with an unmovable front curtain, adding an extra half-hour or more to the interval, while audience and orchestra remained patiently seated. But it was worth waiting because the English National Ballet Orchestra played Prokofiev’s music superbly under the direction of Graham Bond, so if you can get tickets, do go. Performances continue every day with Vasiliev and Osipova as Romeo and Juliet — for details click here. This thrilling spectacle of classical dance was first performed at the Bolshoi Theatre in Moscow in 1869, choreographed by Marius Petipa, who had just become artistic director of the Maryinsky Ballet in St. Petersburg. More than twenty years earlier he’d spent three years in Spain and learned to love Spanish dance — much celebrated in this ballet — though he left Spain rather suddenly to avoid a duel against a French marquis, a member of the French embassy, with whose wife he’d been having an affair. Petipa was quite a lad as a young dancer! 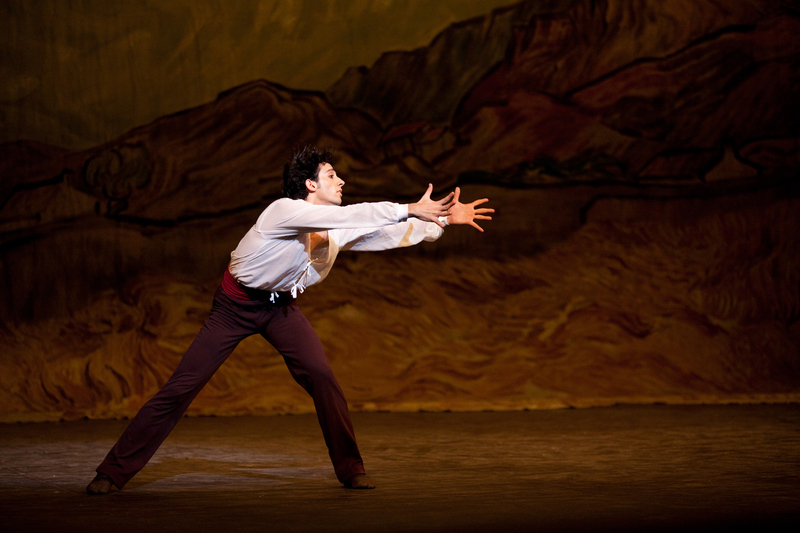 Don Q was revised by Alexander Gorsky in 1900, the year he became manager of the Bolshoi, and is a staple of their repertory. In fact it’s arguably their jewel in the crown, endowed with a mass of glorious costumes, and sets that allow ample room for the ballet’s choreographic pyrotechnics, which were on brilliant view here. Vasiliev and Osipova were out of this world, but they were only part of the story, and the whole company did a superb job. Just to mention a few, I thought Alexei Loparevich was wonderful as Don Q himself, and in the gypsy dance of Act III Anna Antropova was extraordinarily supple and admirably musical. Nina Kaptsova was an excellent Cupid in Act II, and Olga Stebletsova and Victoria Osipova were very good as Kitri’s friends in Act I, as was Anna Balukova as Mercedes. It’s difficult to apportion praise accurately because the cast-list was a little confusing — the main couple in the Act III Spanish dance were presumably two of the three people listed, but which two? I hope the Bolshoi improve the casting information on their next visit. The other problem was the music. This is great stuff by Minkus, only overshadowed later when Tchaikovsky came along, but the conducting in Acts I and II was a bit lifeless — I’ve heard excerpts from Act I done far more vivaciously by pianists in ballet class. The cast-list showed Pavel Klinichev as the conductor, but at the end of Act III, which was musically far better, the conductor who took the bows was Pavel Sorokin. When he conducted Don Q three years ago, he filled the music with vibrant energy, so did they switch conductors for Act III? Puzzling. Some people say they come for the dance not the music, but for dancers who are very musical — and Vasiliev and Osipova are certainly in that category — the conductor makes quite a difference. Finally, dancing and music aside, this is a wonderful production of Don Q, with very effective designs by Sergei Barkhin. The costumes, based on sketches from 1906 by Vasily Dyanchkov, realised by Tatiana Artamonova and Elena Merkurova, are glorious, with fine lighting design by Mikhail Sokolov. 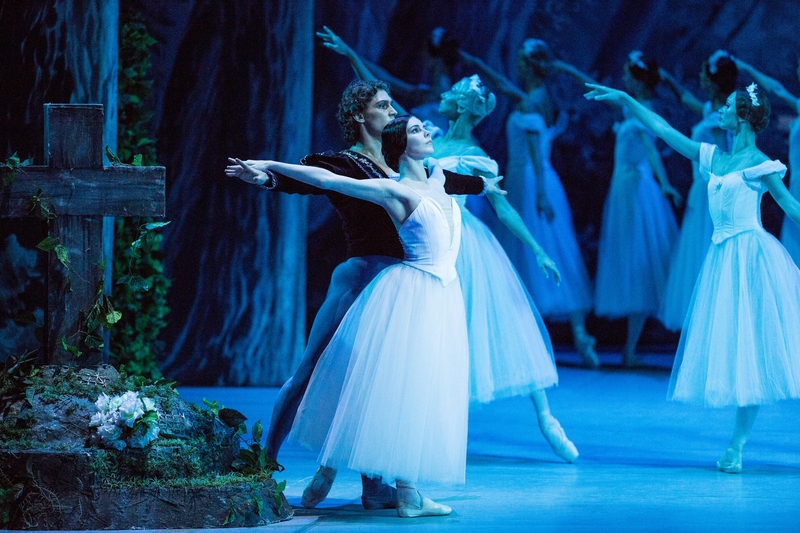 This ballet, like Verdi’s opera Il Corsaro, is inspired by Byron’s poem The Corsair, but although the names of the main characters are the same, the plot of the ballet is very different. The poem inspired several choreographers and composers until in 1856, Joseph Mazilier presented it at the Paris Opéra to music by Adolphe Adam. There were later additions by other composers, and in the 1860s, Marius Petipa produced a new version, which towards the end of the century included some excellent music by Riccardo Drigo for an Act III pas-de-deux by two slaves. In 2007 the Bolshoi brought forth this new production with Petipa’s choreography partly recreated by Alexei Ratmansky and Yuri Burlaka, and extra music by Uncle Tom Cobley and all: Tchaikovsky, Delibes, Minkus, among them. Some of this music was part of Petipa’s 1899 version, but most was surely not, and the trouble is that it lacks focus. The whole evening lasted until 10:55, but if you’re inclined to leave before the end, I recommend staying for the very effective final scene of Act III, which shows the pirate ship in a storm. In the midst of a fight on board, the ship breaks up, but Conrad and his lover Medora do not die — this is a happy ending as they make it to shore, looking wonderful. As for the dancing, some of it was very good, and I liked Vitaly Biktimirov as the rebellious Corsaire, Birbanto. He was absolutely on the music, as was one of the three girls in the pas-de-trois of the odalisques — I think it was Anna Leonova — but being on the music is not one of the Bolshoi’s strong points. The conductor Pavel Klinichev could have helped by keeping up the tempo, but he frequently went at a snail’s pace, particularly in the solos, and Act II was dire in this respect. Lovely costumes and sets, but when I sit at the ballet I want to see dancing, not a series of poses. Excitement was sadly lacking, and the soloists seemed to expect more applause than they received during the performance. Although I liked the sets they did not suit the Covent Garden stage, leaving less than an ideal space for dancing, even with the proscenium arch widened to its full extent. The stage is very deep but the sets seemed designed more for width than depth. The main roles of Conrad and Medora were danced by Nikolai Tsiskaridze and Maria Alexandrova, with Marianna Ryzhkina as Gulnare, and the slave pas-de-deux was danced by Ivan Vasiliev and Nina Kaptsova, so it should have been terrific, but the slow tempo of Kilinichev’s conducting did not allow it. After seeing an excellent Spartacus when the Bolshoi opened their London season, this was a let-down, but I look forward to a thrilling Don Quixote, which I have seen this company do before to great effect. A revolt by slaves against their Roman overlords is the theme for this ballet by Yuri Grigorovich, based on real events, but more on that later. There are four principal protagonists: Spartacus and his lover Phrygia against the Roman general Crassus and his lover Aegina. Crassus and Aegina were danced by Alexander Volchkov and Maria Allash, the same couple I saw three years ago at the London Coliseum. Volchkov is very strong — he gives a magnificent portrayal — and although she got off to a weak start, as did many members of the corps in Act I, things warmed up later and Acts II and III were powerfully danced by everyone. 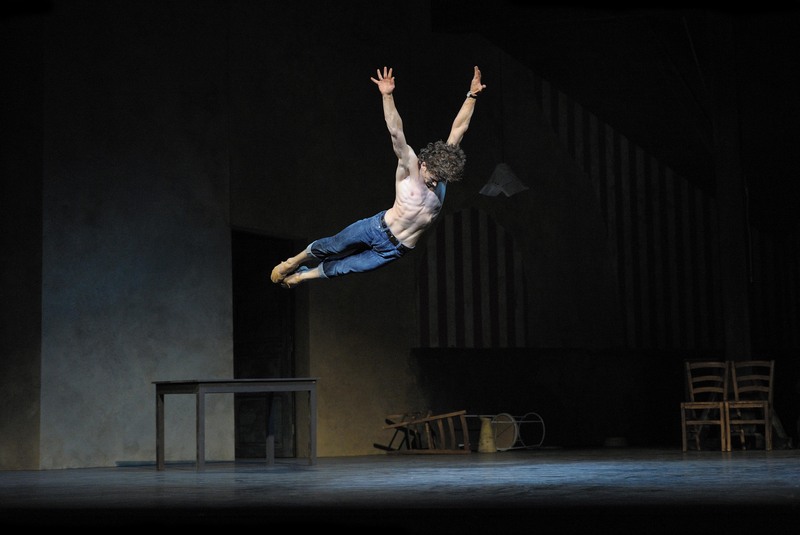 What really made it memorable, however, was Ivan Vasiliev as Spartacus. He was phenomenal. This is a ballet that gives us stage-devouring leaps and extraordinary lifts, performed to perfection by Vasiliev, with Nina Kaptsova as a captivating Phrygia, and their musicality made their performance a sublime experience. The brilliance of his dancing was breathtaking. The final tableau, when his body is retrieved from the battlefield, where he has been ‘crucified’ on the spears of the Romans, is a moment for her to show her grief, which she did well. No happy ending here, but what was Grigorovich thinking when he created this ballet in 1968, the year the Soviet army crushed the Prague Spring? Who represents the Soviet State: the brave Thracian slaves who rebel, or the fascist leaders of Rome? Grigorovich seems to have been sailing very close to the wind. As for the real Spartacus, he lived about 120–70 BCE and was at one time a Roman auxiliary soldier, later sold into slavery and made a gladiator. The major revolt he helped to lead turned into the Third Servile War, and although Spartacus and his army won victories against the Roman forces, they were eventually defeated by Marcus Crassus, whose brutal leadership led him to decimate some of his own forces. In his victory over Spartacus, he captured 6,000 of his army of slaves and crucified them all on the Appian Way. No orders were given to take them down and they remained a stark reminder for years. In this dramatic rendering of the story the orchestra under Pavel Sorokin played Khachaturian’s rambunctious score with evident enthusiasm, yielding art rather than bombast except at the beginning when the sound from the overture and parts of Act I was deafening, at least from the Amphitheatre. But they settled down later, and there were lovely moments of calm and tranquillity, as well as thunder. The costume designs by Simon Virsaladze are wonderful, and the lighting excellent. This is a fine start to the Bolshoi’s three-week season here, and Spartacus will have four more performances, the last two on 31st July.